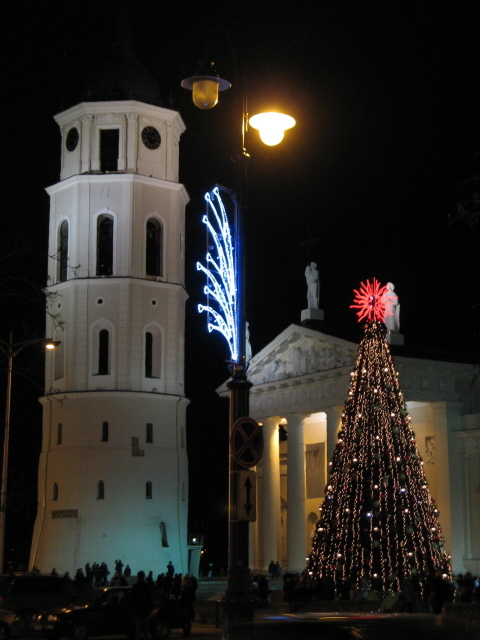 The capital city of Lithuania, and one of the nicest places to visit in the Baltics region. Its large Old Town is especially famous, and rightly so. But Vilnius also caters well for the dark tourist, primarily in the form of Holocaust sites, Soviet-era relics and places related to the Baltics' turbulent and at times violent phases in their struggle for independence from the USSR. More background info: Vilnius (or Wilna in German, Wilno in Polish) is one of the great ancient cities of the east with a history going back to the early 14th century. Today it has a population of over half a million (making it the second largest city in the Baltics after Riga) and is the unrivalled economic, political and cultural centre of the country. For much of its history, Vilnius wasn't actually part of Lithuania, including the time when the country was integrated into the Russian empire, and after the turmoil in the wake of World War One when the city eventually became incorporated into Poland and Kaunas became the interim capital of the then independent Lithuanian state. In WWII, Vilnius like the rest of Lithuania was conquered and re-conquered again, first by the USSR, then Nazi Germany, and again by the Soviets, of which it remained a part all through the Cold War, until Lithuania finally regained its independence again as the Soviet empire collapsed. The darkest chapters of the city's history that are of relevance to the dark tourist today are precisely those latter phases: WWII and the Soviet era. 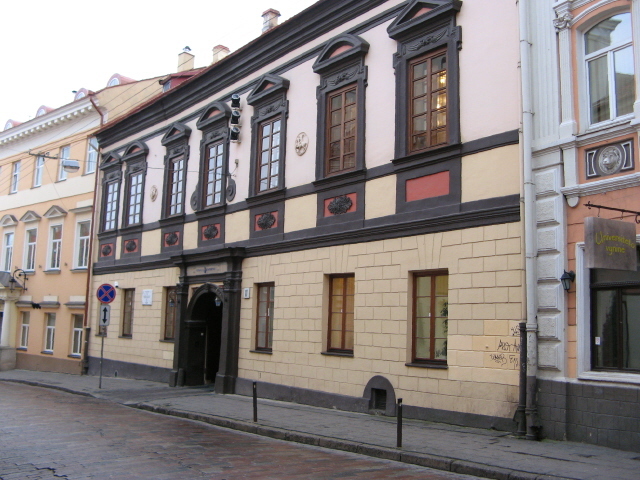 Vilnius once had the epithet “Jerusalem of the North”, due to its very large Jewish population and its pivotal role in the once thriving Jewish culture of Lithuania. All this came to an end when the Nazis arrived. The Jews of Vilnius were concentrated in two ghettos, of which one was already “liquidated” in early 1942, the other in September 1943. Those Jews who weren't massacred at Ponary were sent to the death camps in Poland or other concentration camps. 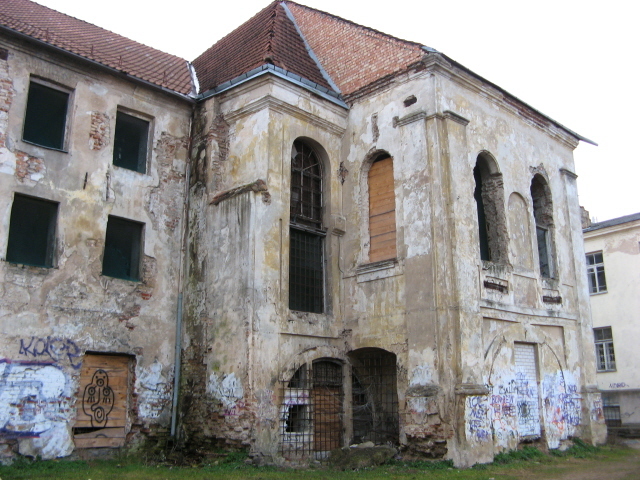 Only a small handful of the once 60,000 Vilnius Jews survived – in particular a group from the HKP 562 forced labour camp (HKP stands for “Heereskraftpark” – basically a car repair garage) who had received advance warnings about the impending liquidation from its commander Karl Plagge, who was sympathetic to the plight of “his” Jews. In 2005 he was added to the list of “Righteous Among the Nations” by Yad Vashem. In general, however, the fate of the Jewry of Vilnius was as grim as it could get. Ponary on the outskirts of the city is one of the worst massacre sites of the entire Holocaust, on a par with (or even exceeding) Babi Yar and Rumbula. Today very little is made out of that dark legacy in Lithuania. It's basically left to a small Jewish community that remains in the city to look after the few memorial sites and museums that do exist. Officially, the pitch-black dark chapters of Lithuanian history and its role in the Holocaust are barely acknowledged otherwise. Much more, indeed disproportionally more, is made of the Lithuanians' suffering under the Soviet regime (see especially the so-called “Genocide Victims' Museum” – which, despite that evocative name, is NOT about the Holocaust but about Soviet repression!). Of course, the Soviet era WAS repressive, no doubt about it, and thousands were deported to Siberian gulags especially in the early post-WWII years under Stalin. To begin with, however, Vilnius after WWII was largely depopulated: the Jews had been exterminated by the Germans and the predominantly Polish population of the inter-war years was expelled to Poland. When Sovietization set in, it also meant an influx of new inhabitants from other parts of Lithuania, and also Belarus and Russia. Nevertheless, Vilnius developed into one of the key centres in the Baltic struggle for independence in the late 1980s and early 1990s as the USSR was increasingly falling apart. In fact, the Baltics independence struggle was a crucial element in the subsequent demise of the Soviet Union. At first, Moscow tried to stem the flood. In January 1991, Gorbachev sent troops in a feeble attempt to hold together the USSR that by now was showing irreparable cracks. Things got especially nasty on 13 January when the army attacked the TV tower and State Radio and Television Buildings and 15 civilian protesters were killed. (No wonder Lithuanians do not share the admiration for “Gorby” that many in the West have – especially in Germany). In the city centre, meanwhile, the protest movement erected large barricades around the Seimas (Parliament Palace), aided by construction workers and their heavy-duty machinery, lifting big concrete blocks into place to act as anti-tank barricades. Eventually, the army retreated rather than attack the city centre too. Shortly after, in a referendum held in February, a vast majority (over 90%) of Lithuanians voted for independence which was officially declared in March. 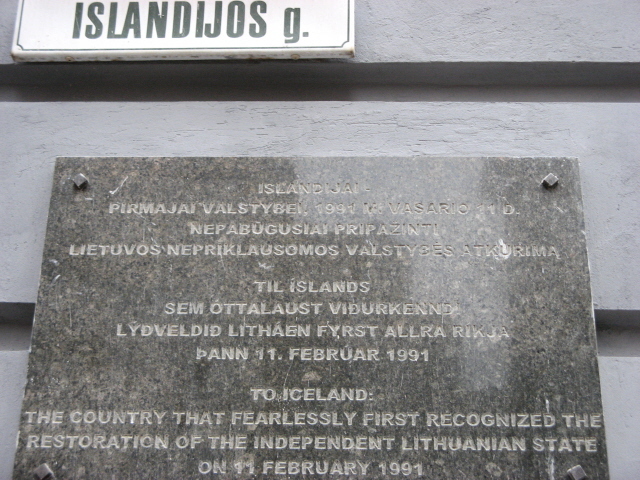 Only Iceland immediately recognized the new Lithuanian state, but other countries (including the remainder of the USSR) followed suit in the wake of the failed Soviet coup in September of that year which marked the beginning of the definitive end of the USSR. Since independence, Vilnius has prospered. In 2009 it was European Capital of Culture. The Old Town and other historic parts have been elaborately refurbished, and whole new modern centres have sprung up, especially to the north of the Neris River with its gleaming hi-tech architecture. In addition to these larger sites, there are also a few smaller but still significant places that warrant a mention. First of all there's the so-called Green Bridge ('Žaliasis tiltas' in Lithuanian). The main steel body of this central Vilnius bridge across the Neris River is indeed painted a kind of green, but what sets it apart from other bridges is the fact that its bridgeheads are still adorned with four sets of Soviet-era ensembles of statues, each over 10 feet (3.2 m) high. They represent fine examples of classic socialist realism depictions of the merits of a communist society, with equal glory allocated to farmers, construction workers, scientists/education, and soldiers. Another neglected masterpiece from the socialist glory days can be found a bit upriver, just beyond the next bridge (Mindaugo tiltas) to the east on the northern bank of the river. This time it's a splendid example of typical brutalist concrete architecture, namely the former Vilnius Concert and Sports Palace (Vilniaus koncertų ir sporto rūmai). Its front façade facing the river banks is a soaring, sweeping curve of concrete towering over the glass-pane fronted foyer and the plaza in front. The pavements are crumbling, the open-air water features empty and abandoned and the big hall's entrances closed and boarded up. You can peek in through the doors and windows into the great atrium, which features some extraordinary modernist artworks of the style that was en vogue in the 1970s at such venues. Sadly it's now all silent and inaccessible. In the vicinity of the big hall you can see more crumbling concrete structures including the diving boards of a swimming stadium next door. Even though you can't explore the place from the inside, it's still worth walking around the site to take in it's awe-inspiring dimensions. Further east still, beyond yet another bridge upriver from central Vilnius, is the memorial complex of Tuskulenai Peace Park. It's the site where the Soviets had hundreds of Lithuanians and Poles massacred between 1944 and 1947. Their remains were only discovered in 1994. The site is now a burial mound within a small landscaped park, underneath which there's a columbarium (underground burial chamber). The manor house in the park's grounds is now an art gallery – and allegedly it also features an exhibition about the site's dark history. Unfortunately, however, I was not able to check this out for myself as it was closed at the time of my visit (Easter 2014 – normally it's supposed to be open Wednesdays to Saturdays from 10 a.m. to 6 p.m., Sundays to 5 p.m.; admission 2 EUR/6 Lts; the columbarium is only open on weekdays from 8 a.m. to 4 or 5 p.m.). Back closer to the city centre, but still on the northern banks of the River Neris, note the large number of cherry trees on the slope between the Hotel Lietuva and the riverbank. When I was there at Easter 2014 it was cherry blossom time, so you could not fail to notice these trees. A memorial stone within this grove gives a hint as to why these trees are here: it commemorates the heroic deeds of the then Japanese Vice Consul in Kaunas, Chiune Sugihara, who saved thousands of Jews from the approaching Holocaust by issuing transit visas (against direct orders from Japan). See also under 9th Fort, Kaunas. Another memorial monument in honour of Sugihara can be found just outside the Green House near the city centre. 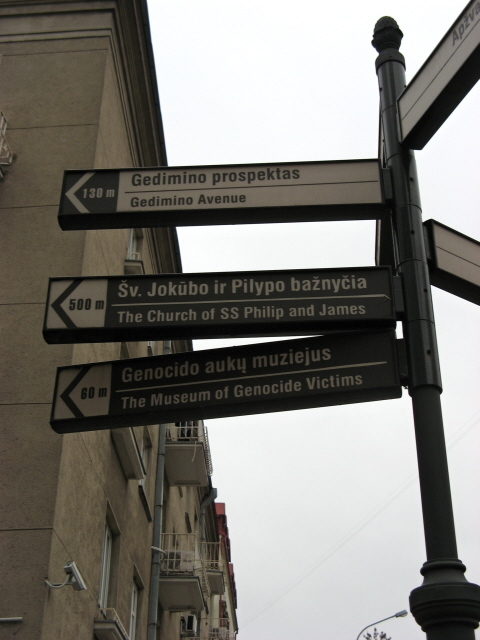 Related, namely to those less fortunate than those helped by Sugihara, are the markers and plaques noting the location(s) of the former Vilnius ghetto(s) in the Old Town that were set up during the Nazi occupation and the Holocaust. One plaque is at the southern end of Stiklių gatvė, another can be tracked down on Mėsinių gatvė. Yet another Holocaust-related monument stands by the road that runs south of the Concert and Sports Palace. And at Subaciaus gatvė 47/49 in the south-east of Vilnius there are two memorials for the HKP 562 forced labour camp which was liquidated as late as June/July 1944, after its inmates had enjoyed the protection of one “minor Schindler”, namely commanding officer Karl Plagge, who tried to protect and save “his” Jews from the murderous SS. When the SS finally did come to massacre the inmates Plagge tried to warn them and a few did indeed manage to go into hiding and survive the rest of the war. Further north in a district way off the touristy parts of Vilnius a more modern-day sobering memorial stone can be found: the Afghanistan War Memorial, commemorating the fiasco that was the Soviet Union's 1979 invasion of, and subsequent one decade long conflict within that country (with repercussions lasting to this day!). The base of the monument list the names of 96 Lithuanians who died in this war. It stands within a former Soviet army military barracks – note the sturdy yellow brick buildings all around! On a much lighter note, but weird enough to get included here, is the oddity that is Užupis – a small district in old Vilnius, but on the eastern side of the Vilnia River that declared itself the Republic of Užupis. It's basically a bohemian artist quarter not altogether dissimilar to Christiania in Copenhagen, especially in that it basically started with squatters in a run-down part of town attracting a “sub-cultural” kind of clientele. These days it's much more hip – even though some buildings still seem in dire need of restoration. In actual fact, however, there is no particular connection between the musician and Vilnius (he had much better links to Prague due to his friendship with Vaclav Havel). It was just the idea of a local Zappa fan, apparently, who commissioned the bust. The artist who actually made the Zappa bust, on the other hand, had a history of churning out busts and statues of socialist biggies (Lenins in particular) until the collapse of the USSR. 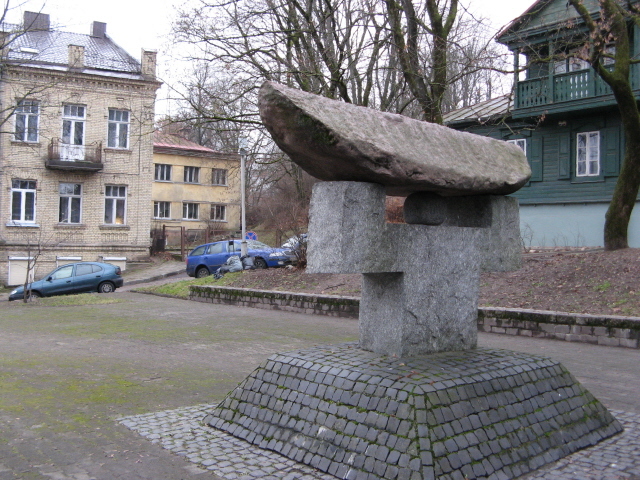 The Zappa bust can be found in an otherwise totally unremarkable corner just west of the Old Town on K. Kalinausko. Vilnius also sports a few atmospheric cemeteries, including Jewish ones, and various smaller and larger memorials, statues and street art installations – keep your eyes open wherever you go. It's worth it. Especially noteworthy is the set of panels just to the east of the Seimas that recounts the (past) glories of Lithuanian history, as well as the spooky three-headed sculpture atop the entrance to the National Drama Theatre on Gedimino Prospektas. Location: in the south-east of Lithuania, some 60 miles (100 km) from Kaunas, and just 20 miles (30 km) from the border with Belarus. Access and costs: quite easy to get to, especially from within the Baltics and from neighbouring Poland; not quite as cheap as it used to be, but not too expensive either. Details: Being the capital city and a transport hub for the region, getting to Vilnius is quite easy. There are direct flights from many European cities, though you may find that prices can be lower for flying to Riga in Latvia first and then, making your way to Vilnius overland (long-distance buses are particularly cheap in the Baltics!). It's certainly worth shopping around thoroughly. If you have your own vehicle you can drive in from Poland or Latvia, but within the city a car is a bit of a hindrance rather than an advantage due to lack of parking. On the other hand, a car makes reaching places like Ponary or the TV Tower much easier. Otherwise, getting around is mostly easy enough on foot, especially in the Old Town, where it is practically the only option anyway. Only a few places out of the central parts may require public transport, which is provided by buses and trolley buses and quite cheap (and convenient in that you can buy tickets on board without being penalized for it). Accommodation options are plentiful in all categories. Prices are not as low as they used to be or still are in other parts of the region, but still fairly good deals can be found in the budget and mid-range brackets. One particular place worth pointing out to the dark tourist may be the Hotel Neringa in the heart of the city centre on Gedimino pr. about half a mile west of the Old Town. The guest rooms are of a nondescript international standard and not especially remarkable (though very decent) but it is the ground-floor restaurant/breakfast room and the street-front cafe that are the truly outstanding delights here: cautiously refurbished they retain a good deal of their original 1959 Soviet design, including some fantastic socialist realist frescoes on the walls of the main dining room. With regard to food and drink, Vilnius offers a far wider range of options than any other place in Lithuania, including some international cuisines beyond the usual stodgy Baltics fare. If the latter is your thing, though, your choices will be just as wide at least, but health food it ain't. In one beer pub I had deep-fried strips of dark garlic bread smothered in garlic mayonnaise – pure sin, not especially appealing to the eye either, but what the hell, it does indeed go so well with Lithuanian farmhouse beer. The latter, as already pointed out in the main Lithuania chapter, is a unique must-try for beer connoisseurs and Vilnius gives them the best chance anywhere (short of seeking out the farmyard breweries themselves). In Vilnius there are several bars that specialize in this unique style of “live” beers. And as this type of brew naturally doesn't travel well you will never find outside the country! So try it in Vilnius. Šnekutis is a good place to do so, in fact two, as there is a branch near the Old Town as well as a particularly quaint one in Užupis. Alaus Namai (which simply translates as 'beer house') is another good place for sampling both “live” and bottled beers in a rustic, crude, rock 'n roll kind of atmosphere, while the cosy and classier Bambalyne has no taps in its small vaulted cellar rooms but the largest selection of rare bottled beers from around Lithuania. Time required: To cover all the dark sites mentioned here you will need at least two tightly-packed days, better three or four. If you also want to explore Vilnius beyond the strictly dark-tourism attractions, then up to a whole week can easily be filled. Combinations with other dark destinations: in general see under Lithuania. Kaunas is the nearest larger place catering for dark tourists, just a a bit over an hour's drive (or slightly longer bus ride) away. But Grutas Park to the south-west of Vilnius is also within easy reach by car. Combinations with non-dark destinations: Vilnius is one of the top destinations for mainstream and especially cultural tourism in the Baltic region, on a par with Riga and Tallinn. It may lag behind the latter in terms of dramatic setting of its historical core and certainly can't compete with Riga's variety of architectural splendours, but the Old Town of Vilnius is actually the largest out of the three Baltic capitals. And it is indeed a delight walking (and occasionally getting lost) in the maze of narrow cobble-stone alleys and little squares of Vilnius' Old Town. Towering over the Old Town's eastern edge is Gediminas Castle with its iconic octagonal tower. Below are some of the grandest church buildings in the Baltics, including in particular the huge whitewashed cathedral with its detached bell tower, or the wonderfully elaborate red-brick façade of St Anne's nearby, or the almost Caucasian looking Russian Orthodox Church of the Holy Mother of God … and many more, too many to list here. Lovers of ultra-modern architecture should head north of the river, where some rather imaginative hi-tech structures have appeared in recent years. Those who would rather get away from built-up areas can find ample opportunity do so in the city's many green spaces, parks and riverside walks. Refer to regular guidebooks or online resources for more info – the Vilnius edition of the regularly updated In-Your-Pocket guides are especially recommended.